Redheart, book one of the Leland Dragon Series, is a very interesting and thought provoking YA novel. What led you to write this debut novel? What were your inspirations for the novel, if any? I’m so glad you think it’s thought-provoking; I did hope to create that sort of work. I was led to write it out of a promise to myself to take my writing seriously, and to learn, learn, learn all I could about how to tell a story—and to finish one! What character do you identify with the most in Redheart? Why? I’m sure all the characters have a bit of me in them, somewhere, or chunks of other people I’ve come across. But I’d have to say I identify pretty closely with Kallon Redheart, my main character. He and I share a lot of fears. You picked a very interesting setting and time period for your series. Was it difficult to create this alternate world in your writing? Is there any particular reason you chose dragons as opposed to other mythical creatures? I chose dragons for my story because that’s the way Kallon presented himself to me. It did take me a while to pull the world together. I had to come up with reasons for Kallon’s choices, the sort of culture that would make him have to choose, that sort of thing. The world filled in from there. There are definite snippets of experiences that my characters represent. Although I don’t often consciously write in my personal feelings or beliefs, I can usually spot them afterward. I have deep-seated convictions surrounding despair, and letting fear drive people into their “caves.” But dreams can be wings. Don’t give in, even when it seems the only option left. Fight to believe. Believing is flying. I don’t feel as though I chose YA, exactly. But much of my work is themed with self-discovery and fortitude in the face of fear. What my characters battle within themselves, especially in Redheart, are closely identified with the challenges of a YA readership. Some days my writing process is as natural as breathing, and the words come without having to wrestle them to the ground. Other days, oh, not so much. Lots of wrestling. I must have tea. I like the scent of it, the warmth of it, the reminder with each sip that “this is my zone.” Where I choose to write has to adapt with my unpredictable days, but I do have a studio near the Historic Cooper-Young district in Memphis where I go as much as I can. I really do my best work there. I don’t have a particular playlist in mind, but while I’m writing, I have my Pandora going with my radio station called “Deuter Radio,” which is ambient, gentle music without lyrics. Since I write to that kind of play list, it might be a good choice for reading, as well! My favorite authors and novels! My goodness, I could take up another whole blog article. I love Dickens, Bradbury, Wyndham, Wells…but if I picked a starting place for a lover of characters with depth and the ultimate in thought-provoking, haunting stories, I’d recommend Mary Shelley’s Frankenstein. It’s so much more than the movies make it out to be. The novel is startling, wrenching, and utterly a masterpiece. As Redheart is the first in a series, what can readers expect from the next novel, Sela, and the remaining books in the series? With Sela, we’ll find more tension between dragons and humans as the next generation takes their place in the story. And in the final book, our dragon hunter, Jastin Armitage, comes to find himself hunted. I don’t have any other series in the works, but I definitely have more novels! I’ve recently finished my historical time-travel tale with Georgiana, the Duchess of Devonshire. And I have a few science fiction/romantic novel crossovers; one set in the American ‘60s, as well as modern day. And of course I’m still BookTasting, which is matching up a custom-chosen tea companion to sip while reading a particular novel, to enhance the experience of both! It’s all about making reading a delicious vacation. I love taking my BookTastings on the road to conventions, book stores, and tea shops, but you can also read all about them on my website—including the perfect tea to read along with Redheart! It’s great fun. 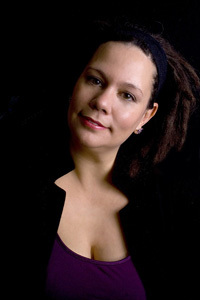 Jackie Gamber is an award-winning freelance editor, as well as award-winning author of the fantasy novel Redheart, available now through Seventh Star Press(www.seventhstarpress.com) and ebook at a special rate of $1.99! Thank you Jackie!!! I am excited to have you on the blog and have really enjoyed getting to know more about you and your writing! 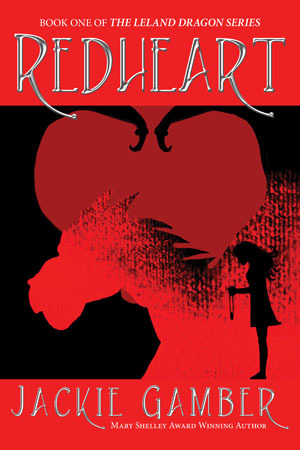 To read my review of Redheart, click HERE.